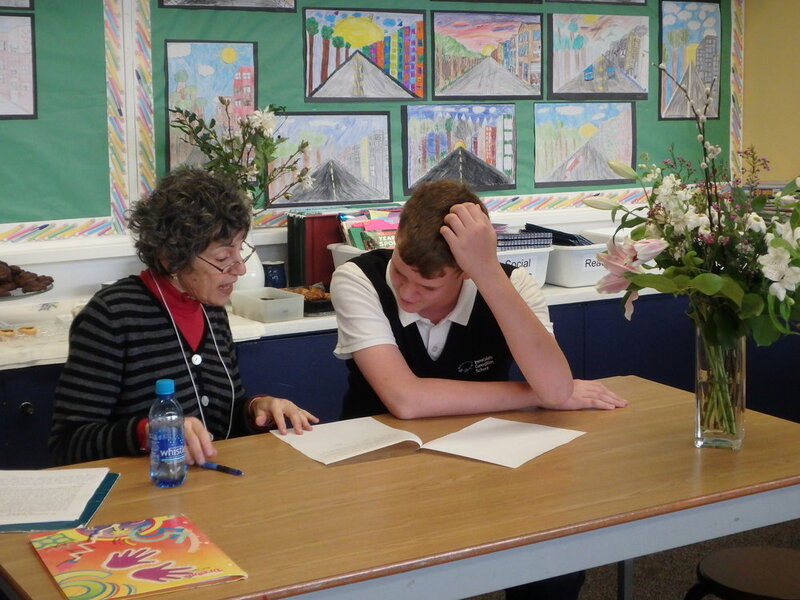 Grade Six has had a three year working relationship with local author Ellen Schwartz. 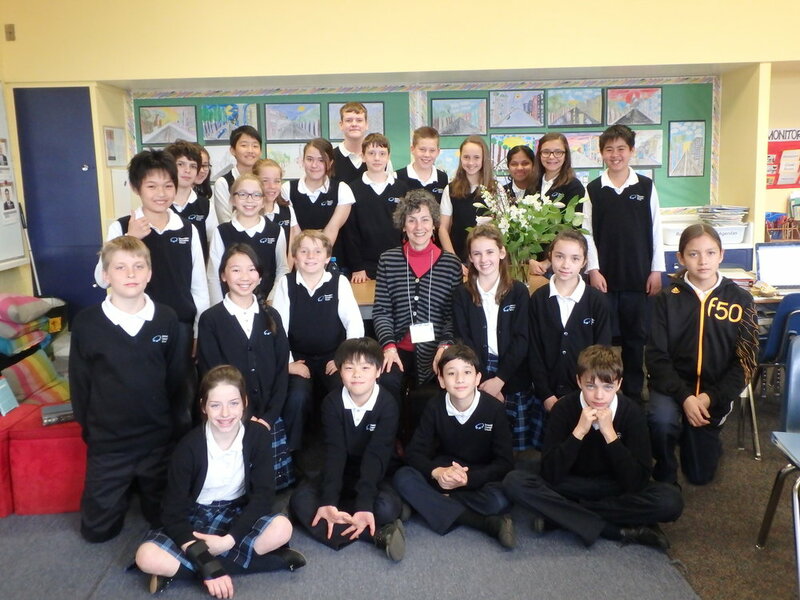 Our most recent workshop sessions with her included a sneak preview of the editor’s notes on her latest novel, Heart of a Champion, the story of Vancouver’s historic team of Japanese Canadian baseball players. Mrs. Schwartz shared the tribulations and triumphs of editing and revising a beloved piece of writing. Next, she lead the students through an exercise in fiction writing. 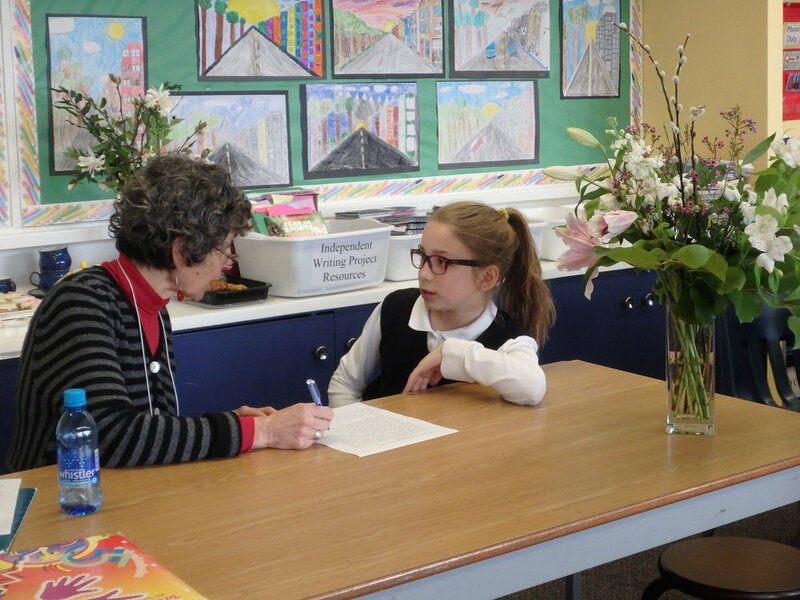 Our very own ICS authors toiled over their writing pieces for several days and then the writing was sent to Mrs. Schwartz, who became our Editor-in-Chief, returning to meet with each student the following week to conference and provide a “critical review” of the writing. 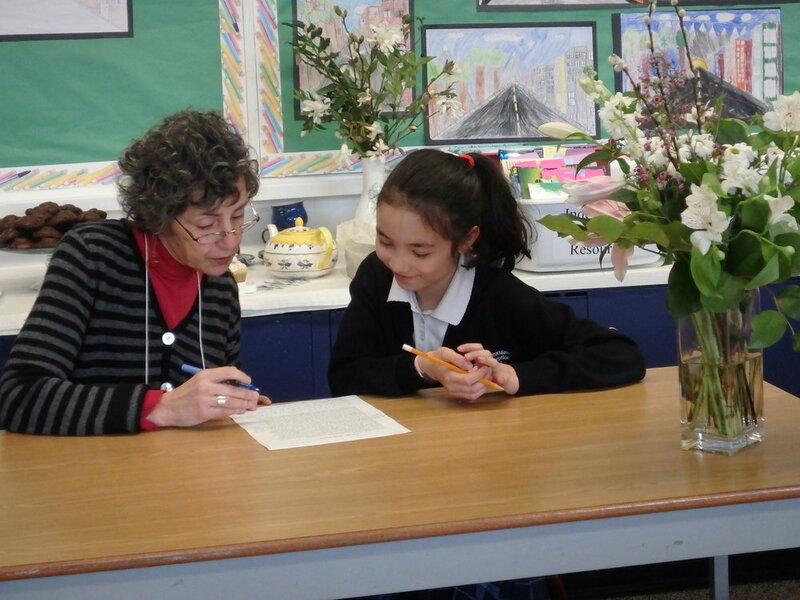 What a strong contribution Mrs. Schwartz has made to our writing program and to each student’s ability to live a “writerly life”! Thank you so much for the photo and card, and for your kind words. I had a great time working with you and reading all your funny, scary, spooky and true stories. Good luck with your writing, and remember: strong nouns and verbs!